TO ALL OF MY DARLING CHILDREN FANS WHO READ MY WEEKLY BLOGS ! Hello My Darlings ! This is I. Mary Ann-san. And the following special Blog is for all of you. Halloween Night is coming and we here in America celebrate this night too. SO…..is Halloween celebrated the same everywhere? This Blog—and Time—may tell. We will see. I KNEW IT ! I JUST KNEW IT ! I knew there was a reason that suddenly there were more children than usual popping up and filled with excitement like school had let out for Summer Break even though it was not any where NEAR Summer Time. Now that I am an adult like your Mother and Father, I can see it in the eyes of all of you when you bring your parents to the store and pulling them by the hands, racing quickly to the aisles with all the costumes and decorations and candies. Yes. I can see it. But please do not hold this against me My Dear Ones. I once was a child too. Just like you. I think the only difference was, was that I was born and raised here in America, in California. And even then. Just like you, I knew all about Halloween Night. Having Supper (or Dinner) REALLY early and after eating, hurrying to dress up with your parents help, in your favorite costume to go Trick or Treating. For us girls here, it was dressing as Angels, Princesses, Lady Super Hero people like Wonder Woman, Bat Girl, Cat Woman, A lady Fairy, or anything you could think of. For the boys, it was Batman, Joker, Riddler, Soldiers, Prince’s, A Knight, any warrior. A ghost. A clown. Anything. Any such thing. Any SUPER SCARY SUCH THING! A few times during my Trick or Treating Time, my Mother made my costume instead of buying it at the store. And it wasn’t just a Witch one either. One year, one of the last times I went out Trick or Treating, my Mother made me a Pumpkin Seller Costume. That is what she said I was supposed to be dressed up as. It was a long beautiful black dress, soft as silk and the front and the back of the skirt was covered with black netting like a Spiders Web. And just a few inches above the sewed hem-line, she had sewed, pressed, or ironed on, orange felt cloth pumpkins that were soft to the touch. 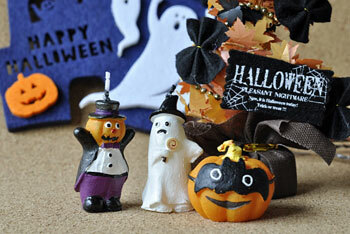 The pumpkins also had green colored felt stems that made them look like the real thing. And of course I had a HUGE Trick or Treat bag to bring home all my candy in. I got plenty of candy that year. And at one place, the man who answered the door was all out of candy and he asked his friend to come to the door to see me and asked what I was supposed to be. “I am a Pumpkin Seller,” I replied. me money. It was just a couple of dollars but it was first time that ever happened. It was also the ONLY time. Maybe it was the make-up that did it? BUT PLEASE LISTEN. AND LISTEN WELL. Just because people are out of candy it does NOT mean they will give you money instead. It does NOT work that way. It just happened to me THAT night at THAT one place at THAT time. So……PLEASE DO NOT go asking for it. And my Mother who went through every piece of candy I received that night as we sat on the carpeted front room floor, was not aware of that Special Treat. She did not see it as she went through my goodies. That Halloween Night was one of my better ones. Halloween is supposed to be a fun night. And I would like to keep it that way; candies, spooky fun, and all. So, I will not tell you then, when one Halloween (School) Night, my Mother REFUSED to let me go out for Trick or Treats until I had finished my Homework. And I had (not on purpose!) accidently left my books that I was to use to study from, in my locker at school and my Mother refused to take me back to school to get them. MY LOSS. So I did the best I could without them. Did I get to go out Trick or Treating THAT Halloween Night? You Guess. But other than that…….what I remember most as a girl-child about my Halloween Nights is that they were GREAT ! I hope yours is and always are too ! Written as: Halloween : For The Children (Part 1) on 21st October, 2017 Saturday.